This is considered to be the most famous star atlas in the world - known by generations of amateur astronomers as simply "Nortons". It is designed to be a leading reference handbook for astronomers. The handbook has been revised and redesigned by a team of astronomers, bringing the information fully up-to-date and reflecting new and exciting developments in observational astronomy. The star maps have been re-plotted to a new level of accuracy and legibility for the Standard Epoch of 2000.0, using state-of-the-art computer techniques specially developed for this 18th edition. 4. Norton's 2000.0: Star Atlas and Reference Handbook Norton, Arthur P.
5. 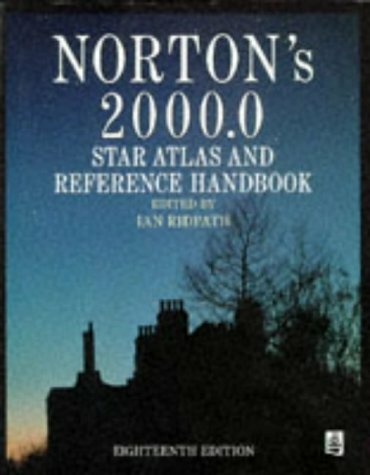 Norton's 2000.0: Star Atlas and Reference Handbook Norton, Arthur P.